Creating a sense of place with Aloha. The GreeneWaters Group is a Hawaii based development company offering a unique mix of residential, multi family, and resort projects, all with a perspective of servicing high demand areas with contemporary & thoughtful real estate products. With a value add and market opportunity driven perspective GreeneWaters is pleased to offer high performing investments for the Hawaii market decades of combined experience in the market. 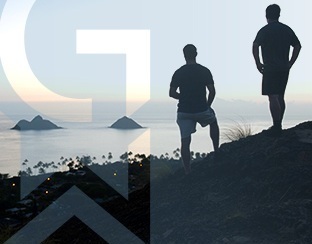 Its founders Tyler Greene & Chad Waters are happy to show this platform as a place to gain more insight on current projects, previous success’s, and vision for the future with Aloha. With decades of combined residential development experience, Greene Waters Group has an incredible mix of family and residential opportunities open for investment, sale, and future projects on the way. A unique mix of historical Hawaii resort with a new and contemporary take on what a resort experience is makes makes for a perfect positioning on the high demand Kauai hotel market. Learn more about the developers, the vision of Hawaii development, and what makes the 2019 Greene Waters developments a great group to invest with. Chad combines his progressive vision with objective driven strategies to achieve profitability. He is not driven by what has been accomplished but enjoys immersing himself in what is possible. As a visionary, he is often able to see opportunity where others may not. Professionally Chad has over 22 years of extensive knowledge, education and training in all aspects of real estate. Amongst his peers and colleagues, he is respected and can be described as ambitious, thorough, competent, and is a resilient problem solver.During his down time, Chad enjoys spending quality time with his two energetic children and believes in a work/life balance. He often looks for inspiration from nature when hiking, stand up paddling, and canoe paddling. Tyler has nearly two decades of real estate and development experience both nationally and in the local Hawaiian market. His personal mantra is to work efficiently while maintaining relations that will encourage and foster success with all parties involved. Tyler has a sincere desire to elevate his knowledge as an individual, professional, and father. Tyler began his career with Colliers International and leveraging his knowledge and desire to excel, he started his own real estate brokerage and development firm servicing Fortune 500 clients and real estate developers in Nevada, California, Arizona and Utah. In 2008 he relocated to Hawaii and partnered with Chad Waters in building what is now GreeneWaters Group LLC. Tyler recently became a proud father of twin boys, and is an avid golfer, surfer and snowboarder. A beautiful 16 unit development positioned perfectly serve the needs of North Shore families with an affordable price point. With 3 contemporary home designs, this community is set to launch and sell this year. of Oahu. Two and three bedroom condo configurations boasting up to 600 square feet of living space featuring quality design and sustainable materials. A premier property location on the East Side of Oahu. A Mauka to Makai property, owners here can enjoy an incredible view from their homes from Sea to Mountain. With a blend of solitude and accessibility for professional owners, Olomana is a phenomenal property to build your dream home. Contact us today for investment opportunities, future project information, and current for sale properties.